Cannabis legalization has become a reality north of the border. As such, the full range of recreational products offered by Tilray (NASDAQ:TLRY), Canopy Growth (NYSE:CGC) and their peers can now be sold throughout Canada. One question for American investors is how that affects U.S. marijuana stocks? What happened in Canada changes little in the U.S. The federal ban on marijuana remains in place. Yes, recreational and medical marijuana are legal in nine states and 31 states respectively. (Both are legal in Washington D.C.) Still, in most cases, marijuana growers can only legally operate in their home states. Without rule changes at the federal level, most U.S. marijuana stocks find their growth potential limited. There is some hope though. There is legislation circulating through Congress could remove marijuana’s Schedule I designation. Though unlikely to be approved, this could make medical marijuana available across the nation and leave recreational marijuana up to the states. Furthermore, as more and more states legalize marijuana at a faster pace, the federal government may not continue to be quite the market limiter that it is currently. And, recently, the DEA rescheduled Epidiolex, a GW Pharmaceuticals (NASDAQ:GWPH) drug containing cannabidoil, as a schedule 5 drug after the FDA approved the drug. What’s disheartening however, is that the DEA did not reclassify all cannabidoil products. So the federal government isn’t quite there yet when it comes to legalizing weed. That doesn’t mean there are no U.S. marijuana stocks to buy, though. There are companies that are likely to profit if legalization happens, and you can buy them now while things are still uncertain. 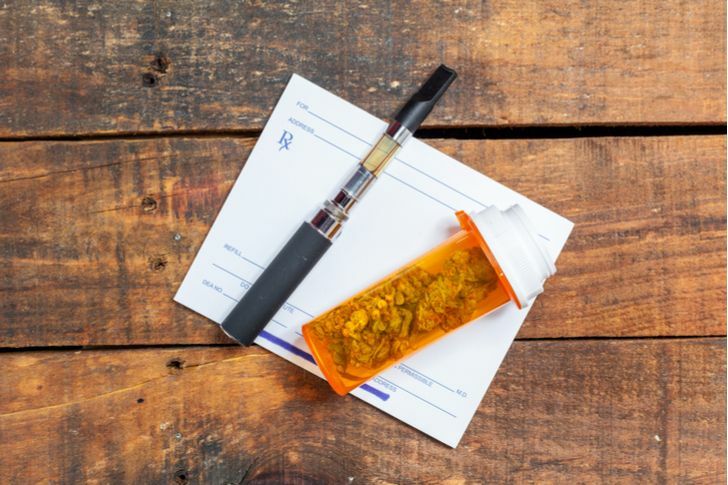 CV Sciences (OTCMKTS:CVSI) approaches cannabis from both a pharmaceutical and consumer products perspective. The Las Vegas-based company develops CBD-based drugs as well as products that enjoy nationwide distribution at health food stores. CVSI’s CBD-based products leave out the psychoactive aspects of cannabis. As such, they have received less opposition from anti-marijuana forces. This lessened opposition creates limited latitude to do business outside their home state. This should give CVSI a head start if and when federal restrictions disappear. Despite the restrictions, CVSI stock remains expensive. Analysts expect the company to make a profit this year. However, current projections give the company a price-to-earnings (P/E) ratio of 110. Still, revenues grew by 87% in 2017. And in the first half of 2018, total revenues look on track to enjoy a similar increase again this year. Hence, it seems like it has exhibited growth that could justify the high P/E ratio. Also, like other U.S. marijuana stocks, CVSI remains small. The market cap comes in at about $500 million. Oddly enough, this makes it one of the larger marijuana companies in the U.S. However, if legal restrictions go away, I believe CV Sciences and other U.S. firms will achieve large-cap status. Such growth potential makes now a great time to buy CVSI stock. Innovative Industrial Properties (NYSE:IIPR) might seem like a strange choice among U.S. marijuana stocks. As a real estate investment trust (REIT), one might not think of it as a cannabis company. However, IIPR claims itself as “the leading provider of real estate capital for the medical-use cannabis industry.” In other words, it owns specialized industrial and greenhouse buildings designed for growing medical-grade cannabis. Though the firm bases itself in San Diego, it owns properties mostly located in the Northeast. Its REIT status also delivers a benefit not expected by small marijuana stocks — a dividend. The company will pay $1.40 per share in dividends this year, a yield of about 3.25%. Despite this dividend, the company delivers on profit growth like other marijuana stocks. IIPR stock earned 75 cents per share this year. Analysts believe that will grow to $1.95 per share next year, a 160% increase. They also expect revenues to grow from $14.04 million in 2018 to $24.61 million the following year. This would represent a 75.3% increase. 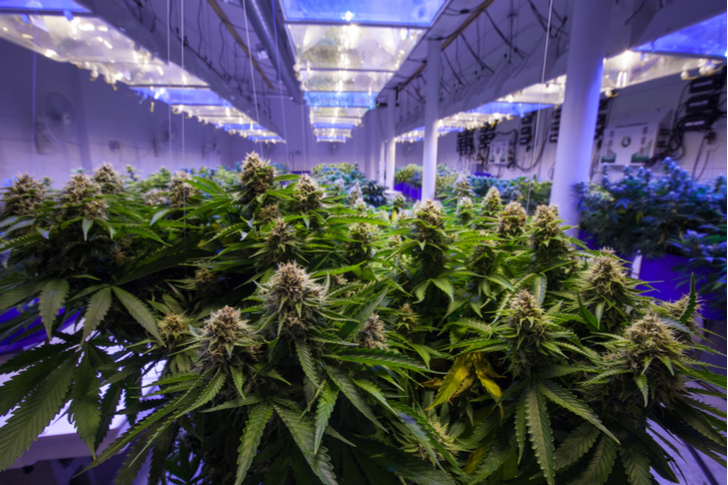 California-based KushCo Holdings (OTCMKTS:KSHB) serves as a holding company for several businesses in the cannabis industry. These include a sales and distribution platform, a marketing company, a research and development arm, and even an energy company that produces hydrocarbons and solvents to the cannabis sector. A more diversified play among U.S. marijuana stocks, KushCo operates not only across the U.S., but also in South America and Europe. It also has a sales presence in every major cannabis market in the U.S. and Canada. Like other cannabis companies, KSHB stock investors expect massive growth. Analysts forecast that for the fiscal year ending August 31st, the company will report revenues of $51 million. If the company meets estimates, it will represent a 171% revenue increase from the previous fiscal year. However, despite a 2 cents per share profit last year, analysts expect a loss of 7 cents per share for the current year. They also forecast a 5 cents per share loss for the next fiscal year. Still, with the massive revenue growth seen, they should eventually return to profitability. Shares trade in the $6+ range and have yet to break into the double-digits. However, KushCo’s growth, along with the company’s global presence, should bode well for KSHB stock if the federal government loosens restrictions. MariMed (OTCMKTS:MRMD) stands out among U.S. marijuana stocks for its consulting services. The Newton, Massachusetts-based company helps other firms optimize production and sales within the cannabis industry. The company also produces its own products under the Kalm Fusion brand name. However, since its consulting arm does not act as a producer, it can escape the interstate commerce restrictions that hamper most other cannabis companies in the U.S. Still, when looking at the financials, admittedly MRMD looks like an expensive penny stock. Despite trading at under $5 per share, it trades at nearly 40 times book value and over 100 times sales. Still, for the first six months of the year, MRMD reported a $530,000 profit, not including non-cash charges. And with a market cap of just above $910 million, MariMed becomes one of the largest pure-play marijuana firms in the U.S. Despite the costs of MRMD stock, with its successes in a heavily-restricted environment, I see growth only going higher if the U.S. lifts restrictions. Consumers know Scotts Miracle-Gro (NYSE:SMG) best as a lawn fertilizer company, which may make some investors wonder why SMG stock makes this list. While not a pure-play among U.S. marijuana stocks, the company has found a lucrative growth sector in the budding cannabis industry. Scotts owns a subsidiary called Hawthorne Gardening specializing in hydroponics for cannabis growers. Interestingly, trouble within this subsidiary may have created a buying opportunity in SMG stock. Nine states allow recreational marijuana sales. However, due to its population, California accounts for the majority of this business. As a result, legal issues in the Golden State have hampered Hawthrone’s sales. SMG stock fell due to these concerns. It now trades near its 52-week lows. However, I see this as a buying opportunity. Other large states, including New York and New Jersey, are contemplating recreational weed. This should lead to a reduced dependence on California going forward. Moreover, SMG stock offers a segue for conservative and value investors to invest in the cannabis industry. The P/E ratio comes in at 17, a bargain to other cannabis stocks. Also, the company pays an annual dividend of $2.20 per share. SMG stock may not immediately come to mind when mentioning U.S. marijuana stocks. However, as a dynamic subsidiary in a boring industry, investors can enjoy both safety and profit growth by investing in the cannabis industry through SMG stock. The post 5 U.S. Marijuana Stocks to Buy Before the Market Lights Up appeared first on InvestorPlace.